Hundreds of people have signed a petition calling for the sale of a patch of woodland on Bath Road at Keynsham to be halted. The plans to sell off the land for development came to light when a notice declaring the site would be auctioned by Savills in London was put up nearby last month. Snapdragons Nursery, which is based in the neighbouring Ellsbridge House, has been leading objections to the sell-off and set up the petition online, which had gathered almost 740 signatures at the time of going to print. Snapdragons bosses have raised concerns over the safety of the children they care for as access to the woodland can only be gained across the nursery’s driveway. Nursery bosses added that they fear the land could be developed for commercial use, resulting in lorries coming onto the site. 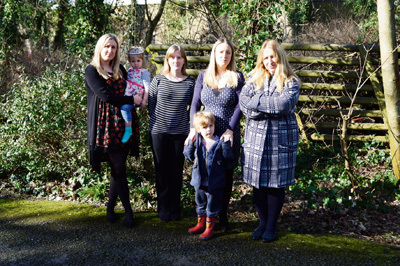 Snapdragons owner Rosemary Collard has previously told Bath and North East Somerset Council the nursery would like to purchase the land and allow the children to use the woodland, saving it from being developed. Following the appearance of the notice last month, the woodland was withdrawn from the auction on February 17 and now Snapdragons and their supporters are hoping to see it permanently removed and kept as a natural space. In 2012, the site was put forward by B&NES Council as a potential location for a travellers’ site, which was met with strong opposition locally and the the woodland was eventually withdrawn from the process.